This is a small studio, so I am fortunate to be able to work with each child individually and teach them whatever they would like to make. Children can choose to work with clay or moulded ceramics. Some like to colour in objects, decorate them with different glazes and techniques and others really want to explore with clay hand building, firing and glazes. There is the opportunity for children to work on something and take it away the same day or take several sessions to complete a project. I have tons of ideas to help children decide what to make and my aim is to ensure that each child is relaxed and happy and feels a sense of achievement through making. OPEN 10 am to 3 pm, Mon to Fri (Except public holidays and weekends). 12 md to 3 pm drop in “paint and take” for $15 or glaze & fire $20 ceramics. Clay Making Workshops in the Holidays – Unplug, make new friends, have fun and learn a new craft. Use your Creative Kids Voucher to check in for a couple of workshops. Hand build with clay and pick up 3 weeks later. Two hour classes $35 per session between 10 – 12md. 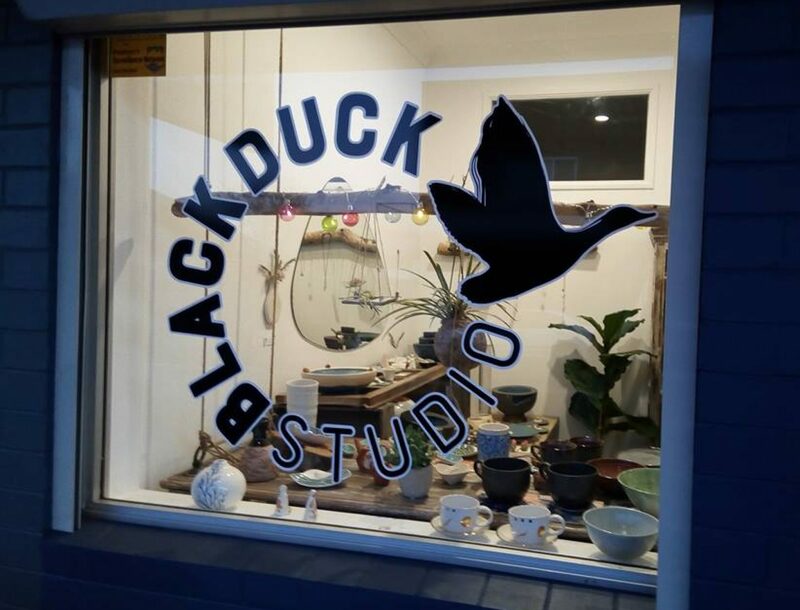 Email us at blackduckceramics@gmail.com or call 0422258277 to book in. Term 2, 2019. Starts week of 7th May to 5th July. $225 for 9 week term including all materials and afternoon tea. Please contact us or download, complete and email back the enrollment through this link below. PARTIES for KIDS & TEENS! We host fun children & teenage parties in the studio. Exclusive use of studio fee of $100 plus per child/teen fee. Parties are 2 hours duration – 90 minutes of ceramics and last 30 minutes for cake/ party food.